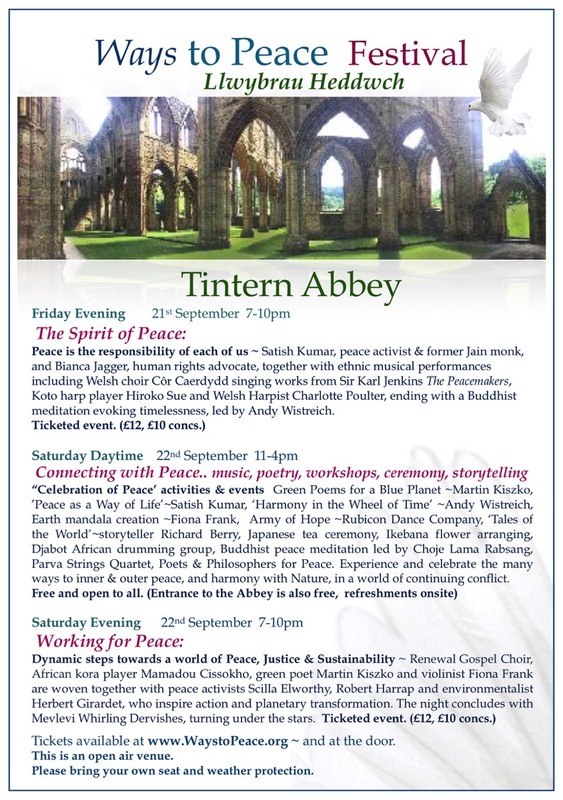 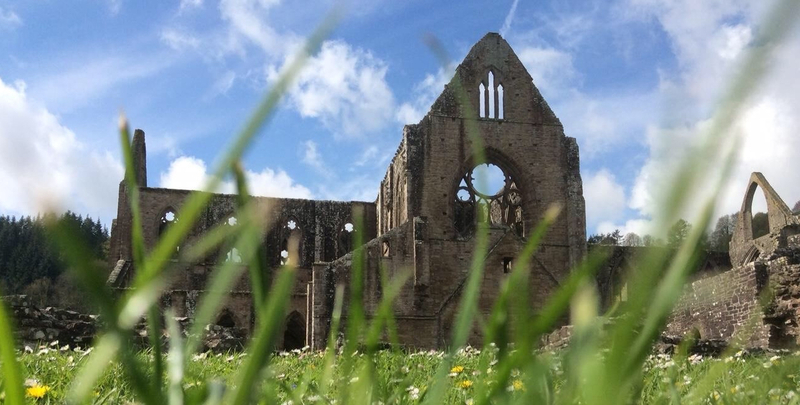 This event was held on the 21st and 22nd of September 2018 in the grounds of Tintern Abbey to coincide with the United Nations International Day of Peace. 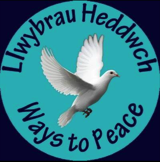 It consisted of a two-day programme of talks, music, workshops, dance and poetry. 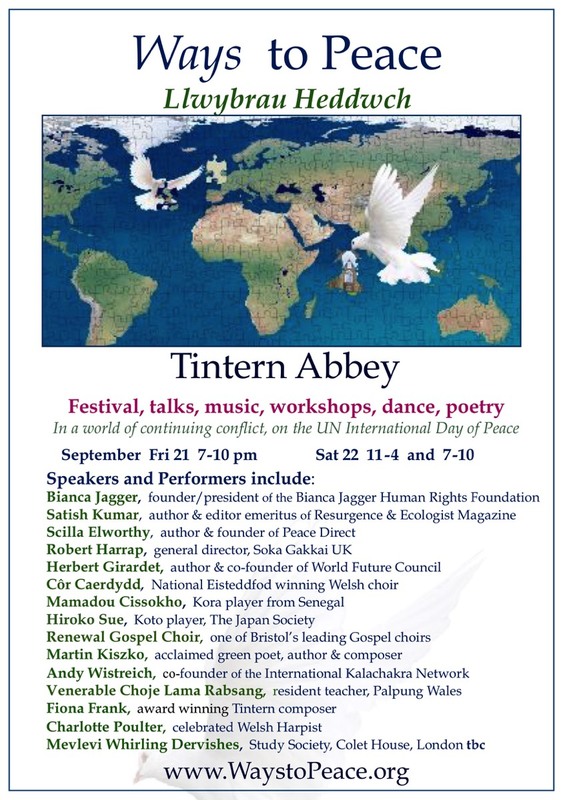 The Programme for the Festival is shown below.